The 15-inch case of the Zenbook NX500JK is slim and stylish. It is one of the few 15-inch laptops, alongside the Dell XPS 15 (9530, Late 2013) and the Apple MacBook Pro Retina 15-Inch, which exceeds Full HD. There may already be a few 3K or 4k notebooks on the market, but few of them come close to the workmanship and sturdiness of our test model. For example, we recently tested the Toshiba Satellite P50t-B-10T (4K). The price of 2,200 Euros (~$2743) for the NX500JK-DR018H (available in Germany) is ambitious. Is this price fair for a Core i7-4712HQ, a GeForce GTX 850M and a 256GB SSD? If you only want this hardware, then the Aspire V 15 Nitro (VN7-591G-77A9) from our recent tests makes a better deal, especially as it offers a GeForce GTX 860M. However, the display does not offer 4K. So are the advantages the 4K panel of the Zenbook NX500JK offers worth the price difference? In a few days, we will find out in an in-depth review. 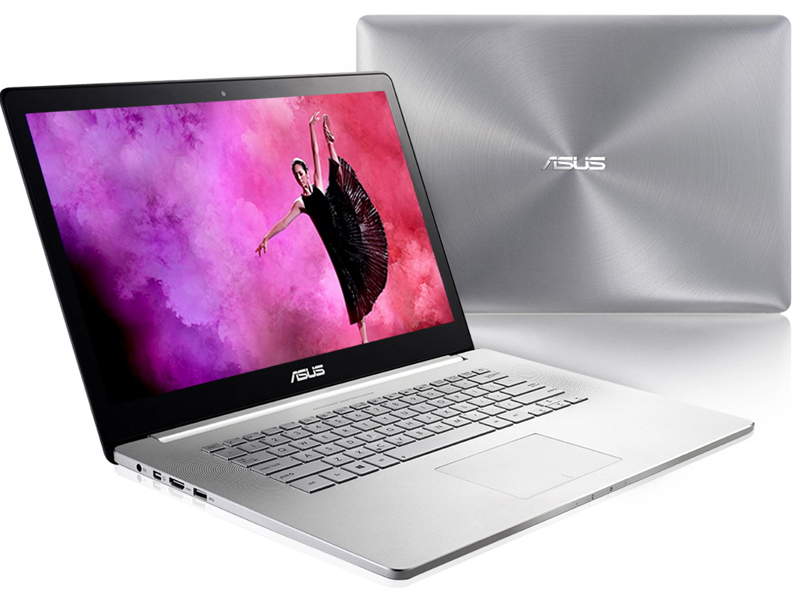 Asus uses the unibody employed in Zenbooks and upgrades the design, as can be seen by the amazing sturdiness of the 15-inch base: at no point can it be bent inwards. The display cover is equally tough. The input devices offer surprisingly good feedback, especially the keyboard with its medium stroke distance. However, the keys are a little smooth and not curved, which means the fingers slide over them a little too much. The VisualMaster display in the Zenbook NX500 offers a wide color spectrum. As expected of its flagship, Asus provides the best it has to offer in the Zenbook NX500, at least in terms of resolution. 3840x2160 pixels is provided, which is 4x the Full HD resolution. 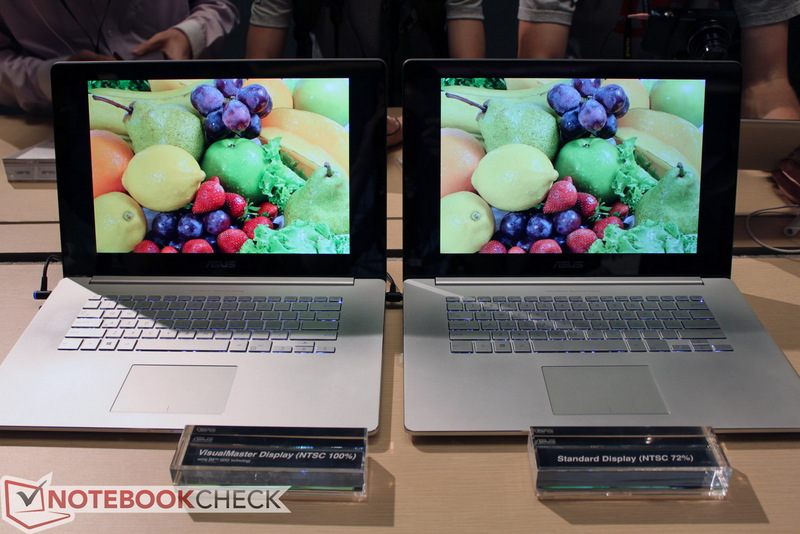 In comparison: the Apple MacBook Pro Retina 15 offers 2880x1800 pixels, and the Dell XPS 15 brings 3200x1800 pixels. In terms of picture clarity, there is barely any difference and all three models will offer an amazing degree of sharpness. The reflective IPS display with touch functionality can reach a max of 309 Candela (in our test) and has a good distribution of brightness at 86%. The black value is quite low, resulting in a high contrast of 1188:1. The display garners good scores in our display color coverage test as well. The deviation from the sRGB color space is quite small (in colors and in grayscale) although the nigh perfect level of the MacBook Pro Retina 15 is not reached here. The display covers a large portion of the color spectrum: 83% of the AdobeRGB color space according to our preliminary test values. The performance has two sides: on the one hand, we have a fast SSD and a fast GTX graphics card, but on the other hand we have a Core i7 which does not exceed its base clock speed of 2.3 GHz. How does this affect games and CPU-intensive applications? Will this just be a standard-voltage CPU, which cannot perform higher than a 15 W Haswell? The preliminary Cinebench scores hint toward weak performance due to the lacking Turbo mode. 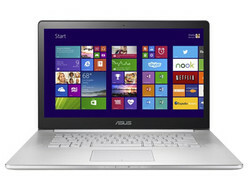 The Asus Zenbook NX500 fails to reach our expectations in the PCMark 8 test too. The previously mentioned CPU weakness is to blame. A detailed report will be provided in our in-depth review in a few days. The first few 3DMark 2011 benchmarks are decent indicating that the GeForce GTX 850M with DDR3 memory performs well. However, there is room for improvement, as shown by the Asus GL550JK and the MSI GE70, which are both optimized for gaming, whereas the NX500 is a true multimedia laptop. Thankfully, the 15-inch model stays quiet when running normal programs (no games and no stress test), despite having two fans. Beside the HDD, they are the only other source of noise. The fans do their job well, keeping the temperatures within limits even at extreme load. 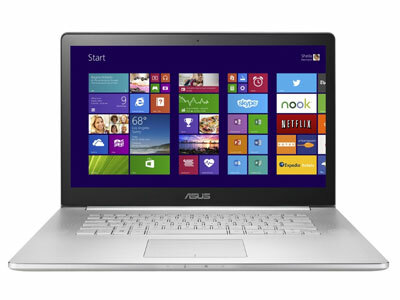 Asus did a great job with the design of this model: the workmanship is perfect. The quality and the material of the laptop meet the highest standards, but they are not all the model has to offer. Do the Core i7 quad-core and GTX 850M accompanied with a 4K panel grant the laptop the right to be a premium model? Of course, one could argue about how useful a 3840x2160 pixel resolution on a 15-inch screen is. The fact is that the IPS panel beats most competitors by a large margin, with the exception of the Apple MacBook Pro Retina 15. The brightness is not the best, but the contrast, color spectrum coverage and the color accuracy are top-notch. 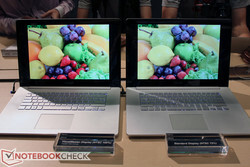 The performance is good and there is no doubt that the laptop is a fast, gaming-ready notebook. The fast Samsung SSD helps score some extra points in performance for the NX500. The Core i7 could drag the overall performance down, as without Turbo the performance is not great in our first few tests. More information will be provided in the following days in our in-depth review.